Rule Bender Press, 9780983334101, 467pp. With razor-sharp wit and an unflinching eye for the little insanities of those who believe they are in charge, Fire in the Henhouse takes the reader on a rollercoaster of a ride. Dooleysburg, PA, chock full of local celebrities like the cross-dressing car dealer who doubles as the town mascot and a police chief who had to get his own juvenile record expunged, prides itself on being progressive and tolerant, a great place to raise a family. Widowed Maggie Rifkin returns here with her fourteen-year-old son and her New York attitude, naively imagining she can leave her past behind. But this town where friendships ignore racial boundaries and sexual eccentricities are a family business has been tempting the Fates. When sudden tragedy strikes, the thread of destruction might well unravel all the way back to Maggie's childhood secret. 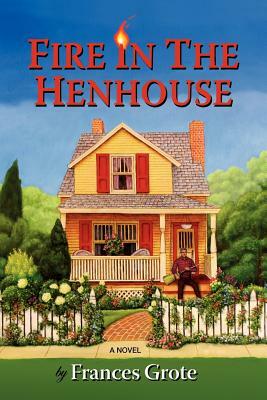 Fire in the Henhouse uses details delivered by witty characters and humorous situations to paint a complex portrait that includes both the light and darkness of 21st century American life. Grote is a master at building small everyday coincidences into the superstructure of events that ensnares her characters - and the reader.